This is Part I of a two-part interview originally published in November 2013. Christopher Tyng is a songwriter, composer, producer and the Founder of the Grow Music Project, a platform for independent artists and bands that allows them to record and produce their music at no cost to them, with no strings attached. Throughout his career, Chris has worked with many successful artists and has written music and songs for successful movies and TV series in Hollywood for the past 20 years. 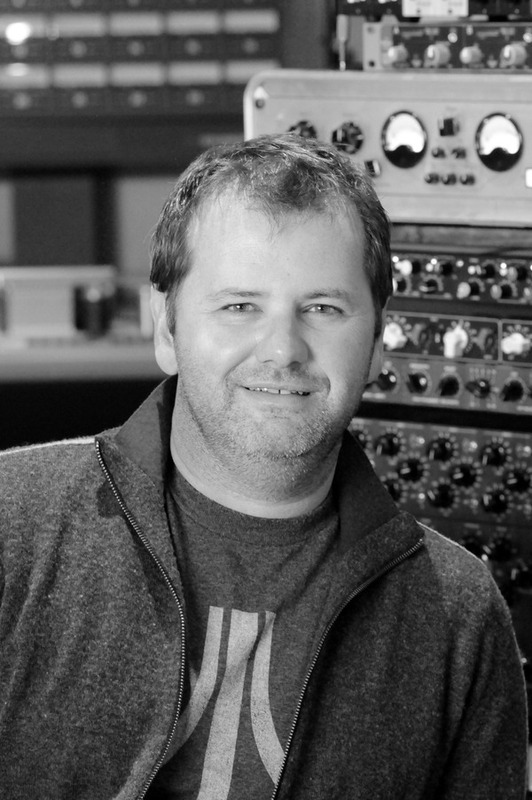 He has been a key member of the music team and the sole composer of the music scores on the television shows The O.C., Futurama, Rescue Me, Covert Affairs, Suits and many others. He has helped define and shape the sound and signature music styles for modern music-aware series, which has helped him introduce and boost the careers of many bands and artists. His years of experience producing everything from large live orchestras, to punk-rock, reggae, folk, neo-soul, electronica and everything in between have allowed him to fine-tune a unique voice, thematic sensibility and a wide range of sonic production techniques with which to create memorable songs, movie and television soundtracks and produce new artists while helping them develop and refine their own mission and identity. In this part of the interview, Chris talked to me about how he got started in the music business and developed his career as a composer. He also shared some tips and realities for artists and bands that want to get their music into film and television projects and discussed the many moving parts involved in having a successful career in the modern music business. Thanks so much for taking some time to talk, Chris. Tell me how you got started in the music business. My story started in a very small East Coast town halfway between Boston and Cape Cod where I grew up. It was 3,000 miles away from the entertainment industry. I started out as a drummer. And when you’re a drummer, everyone leaves their instruments in your basement so they can jam with you, because it’s hard to move a drum set around on a bike. Also, when you’re a drummer, you don’t necessarily know how to read music, because you don’t read music the same way a guitarist might. My real interest in music really started because I had a ton of instruments lying around in my basement, and I didn’t know how to play a Led Zeppelin song. So, I picked up guitar, taught myself and also taught myself how to make things up on the spot. I was in a bunch of bands, and at one point, I was in a band with Juliana Hatfield called The View. And of course, she later spent a bunch of time in Atlantic. She and I were in high school together, and that’s how we both first got started. As I was going through college, my friends were all telling me, “Your music is really visual. I can see you doing movies.” I said I didn’t want to do that and kept insisting I wanted to be a drummer. One thing led to another, and I actually got talked into submitting music for a BMI Film Music competition. I put something in the mail and thought, “No one wins these kinds of things anyway.” This was pre-Internet, so there was no way of really understanding the scope of the contest and all the smaller details. Funnily enough, I discovered that somebody actually does win these things. And that time, it was me. It turned out to be a much bigger deal than I would’ve ever imagined. BMI did an annual nationwide talent search and identified someone they think is going to be a promising voice as a composer and brought them out and red carpets them into the industry. I hit L.A. not knowing anything about anything. I was standing on the scoring stage writing cues for L.A. Law with Mike Post and also became Basil Poledouris’ protégé. Basil is unfortunately no longer with us, but he was my West Coast dad, and is one of the biggest film composers of all time. He did films like The Hunt for Red October and Conan the Barbarian. He did just epic film scores. So, I went from being a kid with no particular aspirations at being a film composer into being drop kicked into a world with orchestras. It turned me on in ways I could’ve never imagined and gave me the opportunity to work on so many different kinds of music. I never turned around and just kept going forward. Before I knew it, I was doing my own film scores and working on TV shows. Matt Groening asked me to do the music on Futurama, and I ended up doing music for The O.C., and for Rescue Me and currently work on Suits. But I’ve always kept my feet in the band world. A lot of the projects I’m brought in on involve bands. On shows like The O.C., for example, the score and the songs are integrated. Everything is supposed to feel contemporary and like it’s in the same camp. Suits is also similar; a lot of the score sounds like old vintage records. The goal is to make sure the audience can’t tell whether it’s listening to a song or my music. It’s been an interesting path, but a really cool one. And you’re doing all that alongside Grow Music. Yes. Suits is in its third season and doing fantastically. It’s USA network’s biggest show. And it’s really fun to be a fan of a show that you work on. Aaron Korsch, who writes and creates it, is an amazing writer. That’s still my day gig. I wear that hat most of the year. And we just finished up 18 years in total of Futurama. I’m a huge fan of Futurama. I think it’s always been a show that is far more adult than kid, so you’re in very good company. Before we get into what you’re doing with the Grow Music Project, I wanted to touch on a topic I come across a lot through the work I do. The most common request I get from people who approach me that can’t tour, etc. is, “How do I get my stuff in film and TV?” You obviously have had a lot of success with that. What advice would you have for musicians that want to get their music in film and TV? When I was a pretty young musician, someone gave me a piece of advice that I have always kept with me: “Luck is where preparation meets opportunity.” I had an extraordinary amount of luck. I continually can’t believe how lucky I’ve been as a musician. But I think the flip side of that is that in its simplest form, getting music in film and television is a war of attrition. And I think there are two different answers to your question. The first is an answer that fits if you are trying to get songs in TV and film and are a band. And the second is if you are trying to get placed and you are a composer. On the composer side, I can go back to the war of attrition idea. All my peers who have had careers have really done it one piece at a time. There’s no secret and no short cut. It’s really about finding a friend who is doing a student film or a similar project. It sounds like such a boring answer to the question, but it really is what works. Everybody that I know who is working works because of relationships they built from the ground, up. There are a very, very few exceptions and a very small group of people who bypass this process. Now you have people like Hans Zimmer working with a stable of composers. If you’re lucky enough to get music to Hans and have him actually listen to it, he might decide you could be a studio runner, which translates into you ending up with a writing gig. Theoretically, that could be a fast track. But other than that, most of us who are still the rarest of the rare and luckiest of the luckiest did it one piece at a time. So, if you want to get your music in film and TV as a composer, you need to seek out opportunities where you don’t recognize anybody else involved in it. The Hollywood Reporter comes out with a production chart once per month. I have a very good friend who, when he was getting his start, cold called every single show that didn’t have anyone involved who he recognized. He purposely searched for these types of projects, because when you call the person on a project like that, chances are good you are calling the director, the creator or the executive producer directly. Either that, or you are calling a very small office where very few people wear a lot of different hats. It’s a very direct line into a smaller project. My friend went through that process over and over again, then called and finally got through. And he found out they didn’t know what they were doing about music yet, so he asked if he could send some over. And that turned out to be Party of Five. As luck would have it, that turned into a fantastic show, and he has carried on with that production team ever since. This success story sounds like he hit the jackpot, but in a case like this, there is a series of all kinds of things completely out of your control that have to go right. One is, no matter if you write great music or not-so-great music, the show has to do well. Because, the show doing well is the most significant factor to you being carried through your career to the next step. But before you even get there, that willingness to roll up your sleeves, send emails, make phone calls and create opportunities to get people to listen to your music is the most common way people actually find themselves with a real opportunity. And the first opportunity is very often very small and pays next to nothing. There is definitely a dues-paying side to the process. I just don’t know many people who found that pot of gold any other way. I think that’s the right answer to my question. A lot of people are looking for a Nintendo cheat code. And I wish that existed. I’m in my early 40s, and I think another way I lucked out is by being in that generation where it wasn’t the case that every single person wanted to write music for picture. I can only imagine how hard it is now to get a big break, because there are so many people making music. I know some people who are huge touring acts, and they are done with the lifestyle of being on a bus all year long and want to write film music. It allows them to stay at home, and if they have a family, that’s great, because you don’t have to be away from them all the time. There are a lot of very attractive things, not the least of which is royalties and the concept of a slightly more direct way of getting paid, which is, of course, more difficult in the record industry. But this is becoming an increasingly saturated marketplace, where you have a lot of people who want to do it, which makes it all the more challenging. That idea actually translates back to a major mistake I see bands make: They just put all their music out at once. With the loss of the artist development phase, which was part of the old music industry, we’ve moved into a phase where everyone puts everything out. And of course, that’s not how record companies did it. You can argue subjectively about whether you did or didn’t like the choices, but one of the functions of a record company was to filter music that hopefully would be able to evolve, grow and get to a place where – whether someone liked it or not – if they liked it, the band could back it up. And that process is a little harder to execute now because bands don’t have the benefit of working with that level of experience. Bands are focused on getting everything out there as quickly as they can get it out there and building up their social presence before they even start to think about what their social presence should be. And I imagine that’s a lot of the work you do: Getting musicians to think about what they are doing as they are doing it and really create a plan. Yes. There is not a whole lot of rational thought involved in an average artist’s plan. It’s very emotional: “I’ve created this. I can’t wait for people to hear it.” And then it goes out through a shot gun without a lot of consideration. Right. And very often artists haven’t taken that second step to figure out not only why they think their music is cool, but also why anyone else will think it’s cool. And even worse, artists will put every last dime into recording and not save any money for marketing, distribution and any other plans to actually get it out into the world. And of course everybody now has to wear so many different hats, so you really can’t blame them. But in order to be a really fantastic guitar player, you have to spend some time on it. In order to be a really great marketing person, you have to spend some time on it. And if you believe what someone like Malcolm Gladwell says about the “10,000 hours” concept, how can you spend 10,000 hours being your own record producer and a songwriter, an artist and everything else? There are just too many hats. And everyone is in a situation where the king is dead, so they can all do everything themselves. But if you put down on paper all the things you need to be responsible for now as an artist, it can be kind of sobering. To learn more about Chris Tyng and the work he does, visit the Grow Music Project website. Also check out Part II of this interview.